Fugitt Rubber & Supply Co., Inc. Provide industrial and mechanical products and services to our customers at competitive prices. Founded in 1963 by M. Harold Fugitt, Fugitt Rubber and Supply Co, Inc. has successfully grown and expanded to meet our customer requirements. We currently operate from a 25,000 square foot facility in Memphis, Tennessee with a 15,000 square foot branch in Jackson, Tennessee. 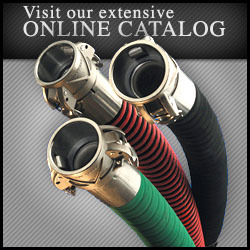 The industrial supplies we offer, including hydraulic hoses, industrial hoses, fire hoses, tubing, quick connect fittings, adapters, and couplings, are from the top manufactures of quality products such as Aeroquip, Aloma, Bilrite, Coxreels, Euro Power, Garlock, Goodyear Industrial, Ideal Clamp, LaCrosse-Rainfair, PT Coupling, Sepco, Suttner, Thermoseal and many more. Fugitt Rubber and Supply also offers many additional services such as waterjet cutting, gasket cutting, welding, hydraulic and industrial hose fabrication. Contact us for more information about these services. We believe that our experienced and knowledgeable sales staff, our dedication to customer service, and many in house capabilities sets us apart from other industrial supply companies. Allow us to assist you in choosing your industrial supplies. © 2008 Fugitt Rubber & Supply Co., Inc. All rights reserved.